Our last Unit of Study is Once Upon a Time, where the children write their own fractured fairy tales. It is a great unit at the end of the year. Before we start the unit, I immerse the children in fairy tales. We talk about what fairy tales are, how they came about, and what makes a fairy tale a fairy tale. I made a folder with several handouts for them to use throughout the unit. There are some great resources out there- FREE! The first day I read two different versions of Cinderella, both from different countries. We then used a venn diagram to compare the similarities and differences of the two stories. I also printed a world map so as we read Cinderella stories from around the world we marked where the story took place from: http://firstgradewow.blogspot.com/2013/10/cinderella.html. There is whole pdf unit about Cinderella in which the map is included. Each day after that I read a different Cinderella story and as their readers’ response, they compared the stories in their notebooks. After a few days of Cinderella, I found a fractured fairy tale of Cinderella online at: http://the-office.com/bedtime-story/cinderel.htm. I read it to them while they followed along. 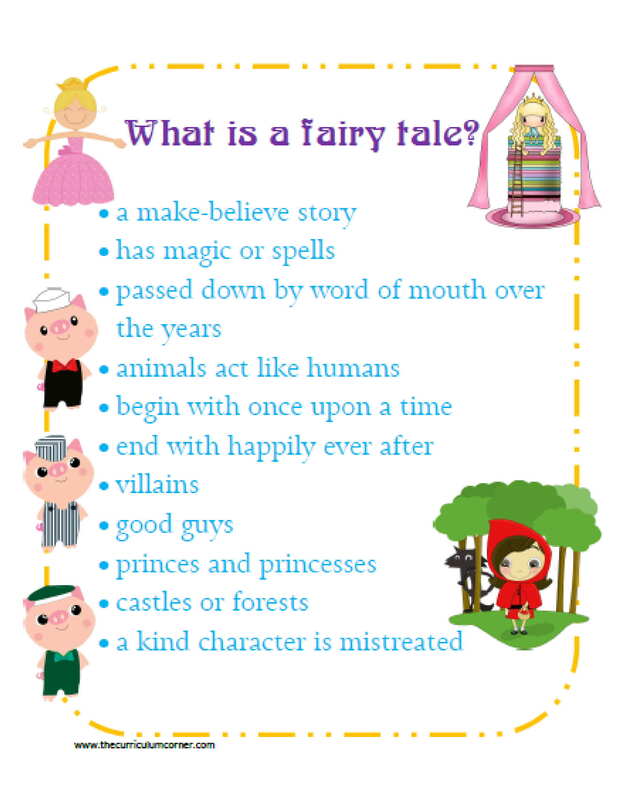 We began talking about the elements of fairy tales and fiction and that fractured fairy tales area fairy tale that has been changed in some way. Either the gender of the main character, the setting, the conflict, the solution, something is changed. The comparisons of the Cinderella helped the children see how the story could change by geography. 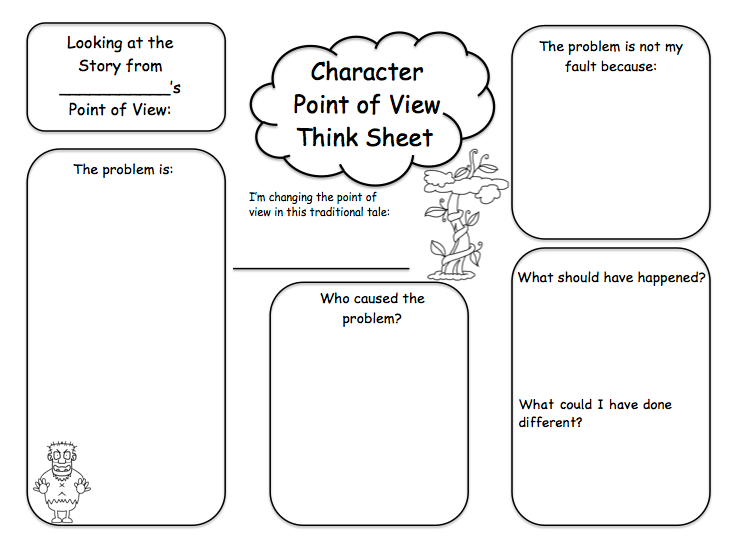 We also had a discussion about how to change the point of view the story is told. A great example of that is “The True Story of the Three Little Pigs.” This story is told from the point of view of the wolf. 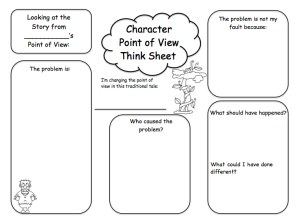 I found a great graphic organizer to help the children understand more about the point of view from: http://love2learn2day.blogspot.com/2014/01/fractured-fairy-tales-character.html. Here is a photo of it. 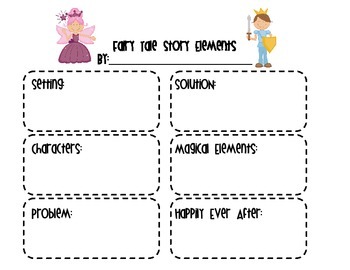 So after a week the students were then ready to write their fractured fairy tales. I had them make a plan for their story, pretty much a story map, listing the characters, setting, conflict, etc. 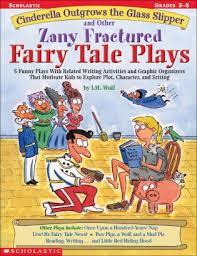 I had many fairy tale books that the children could refer to as they chose their fairy tale and then fractured it. They were so excited about the prospect of writing their own story! I also was able to find a fractured fairy tale readers’ theater. It’s called, “Fairy Tale News” from Scholastic. The story of the play is a news station with roving reporters interviewing fairy tale characters. 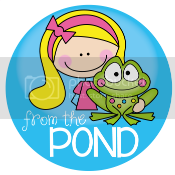 It is really cute and the children giggle at all the funny parts. 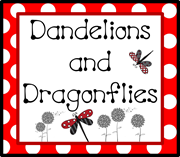 We are going to be performing it for their parents this week at our end of year party. They are so excited!!!! We planned what they could wear, using microphones, blocked out where they will speak. I even made a power point with backgrounds for each of the interviews.